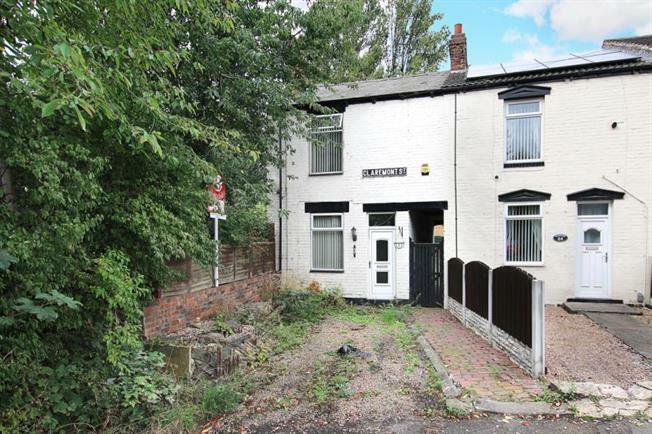 2 Bedroom End of Terrace For Sale in ROTHERHAM for Guide Price £75,000. Situated at the bottom of this cul de sac location, viewing is a must for this spacious end terrace home, having hard standing to the front and good size garden to rear. Giving access to local amenities and transport links the property is offered with no chain involved the property would suit a varied purchaser. In brief comprising off lounge, dining room and kitchen having a range of wall and base units. First floor landing two well proportioned bedrooms and spacious family bathroom with corner bath. To the front of the property is pebbled hard standing and to the rear is a good size garden with lawn and patio area.